Liberty Incentives & Congresses Prague is also a prominent member of the Prague Convention Bureau. Concentrating exclusively on the Czech Republic and Slovakia, Liberty Incentives & Congresses Prague features 10 experienced professionals including 9 multilingual project managers (English, French, Italian, German, Spanish, Russian, Czech, Slovak,...) dedicated to MICE business. With its long established activities in the Czech and Slovak Republics, Liberty Incentives & Congresses Prague has developed strong bonds within the network of local suppliers (hotels, restaurants, service providers,...), which guarantees professional services at very competitive rates in the destination. 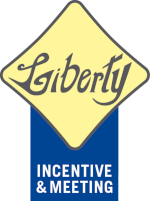 Pioneer in Central Europe for MICE business since 1991, Liberty Incentives & Congresses Prague first operated in the whole region before the neighboring countries were able to launch their respective Liberty Incentives & Congresses offices locally. Today, Liberty Incentives & Congresses covers over 40 countries worldwide with 50 offices and is still growing. Need any help? Let us know, our team is looking forward to answering your queries!